loving- people are important not our possessions. And much more- but these little things that seem insignificant created high standards for us and those bigger conflicts in life were easier for us because we knew what was expected of us. Many times we get into the habit of ‘thinking’ we are doing our best- but are we being completely honest? I will tell you my mother could say that she tries her best everyday. She lives as if the Lord was by her side, watching. I have never heard an excuse come from her mouth about being too tired, too discourage, or too busy to live up to her standards. She doesn’t have to tell the Lord to be there at ten o’clock and she’ll turn up when ever she wants. Nor does she have the excuse of being too tired or too busy to talk to the person that she doesn’t quite get a long with, or with someone who might be in distress. She is the first to talks to the person who is is alone and doesn't have the luxury of popularity.She studies the things she should and makes sure its done- she gives up the extra sleep, or something enjoyable to ensure she has really studied and meditated. She doesn’t change her standards according to the crowd she finds herself within- she knows the Lord is watching. She absolutely does her best and as a result has a plethora of qualities that are astounding. In fact, not too long ago I wrote down a list of qualities that she possesses that I one day would hopefully develop – and let me tell you, that list is long and I will be lucky to acquire half. And the reason for her long list of talents and qualities is that she has taken her original talents and has persistently done her best to create many more. For example, she is now learning the violin, painting, learning other languages and is constantly reading to expand her mind. Because of my mothers example, she has taught her children that it will not be enough for us to be a competent teacher, a proficient dentist, a skilled engineer or whatever it is we become. We will have another aspect in our life that is more important- that is of knowing we did our best throughout our entire lives in all aspects of our lives. And through our best we have truly strengthened and touched those people around us. I love my mom and so do many others, especially those that hardly know her but yet, she has stepped in as the best friend they have needed in those critical moment. There is just too many things to say about her because she thinks of everything and is the most well rounded person i know- and I hope you truly understand me when I say she runs as fast as she can, making sure not one minute is wasted. Mom you are my confidant, best friend, my example, my role model, and i love you. 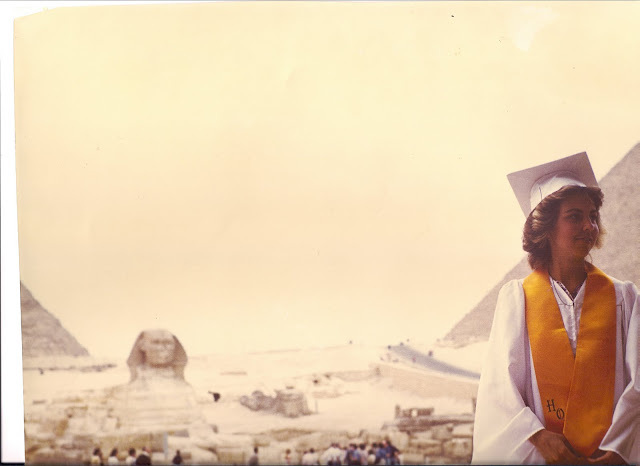 look how neat- she graduate in front of the Great Pyramids and the Sphinx. 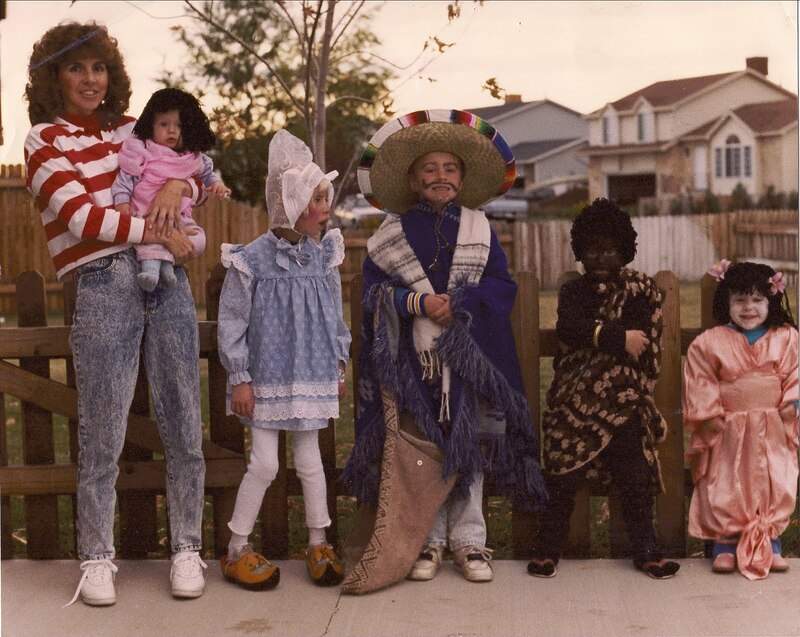 Since she was a world traveler, for Halloween one year she dressed us up in her authentic clothing..
Beautiful, just beautiful. Your mom is an incredible lady and what a great example to us all. I don't even know her but this post has gleaned some of her wisdom into my life. Thank you for your example and for teaching your children the good principles. You made me realize how much more i can teach my own children. Thank you. I've also never met your Mom though I read her blog and can honestly say that she is a great inspiration to all women. I can't believe how good she looks, how well she has brought up all her children to be such lovely adults with great values, and how much she seems to accomplish. Does she ever sleep?!!!! Well done Shelby's Mom - you truly deserve this accolade. Shelbs what can I say except I love you so much. Thanks a million for such a beautiful tribute. I'm so touched by all the kind things you said about me. I have to say it's pretty easy being a mom when I was blessed with 9 perfect kids to raise and given 4 more perfect kids when my oldest kids got married. I'm the lucky one. If any of you know my kids you know that is the truth. I get teary just thinking about their goodness. think this is a good reminder to all of us. It was a great reminder to hear that we need to being doing the best that we can. And I totallly 100% believe that your mother does her best everyday. Thanks for your example through your daughter. What a great accolade. What a beautiful post, Shelby. I really enjoyed this. Thanks Shelby for such a wonderful tribute to a tremendous woman! She has definitely set the example in our family of what it means to always be about doing good. Raising nine children and yet accomplishing so much more has left a huge impact on all those who know her. I honor her for her love, compassion, endurance through deep trials, integrity and again example. I can definitely say that she is one of the great and noble spirits that was called upon to show and encourage us how to make our lives better and more productive. She is my rock and I am grateful to have her in my life! I just found your blog through a guest post you did. You are so fab! And your Mom? OMG - y'all could be twins! Beautiful.... simply beautiful, this brought tears to my eyes. Cherish everyday that you have with her! "By their works ye shall know them." I have never met your mama, but from knowing you I know exactly how wonderful she must be to have raised such a wonderful you. Well said Shelby, we all love you mom! I sit and wipe tears from my eyes; I am so over come by the love and joy and happiness and inspiration your mother lives with and the selflessness of her heart. What a kind woman she is. Her kind heart is evident in the smiles of each member of your family. Thank you to Marcia for being the person you are and for raising a family with backbone and morals. You and your family make the world a happier place in which to live. truly a remarkable most beautiful tribute to our sweet amazing mother!! You said it perfectly! And I second all shelbs said you truly have been everything that is good to me!! We love mom so much!! I just wish everyone could partake of your goodness because of the light and love you bring into the world. All the things Shelby said about marcia Is true! SUCH a great example!! 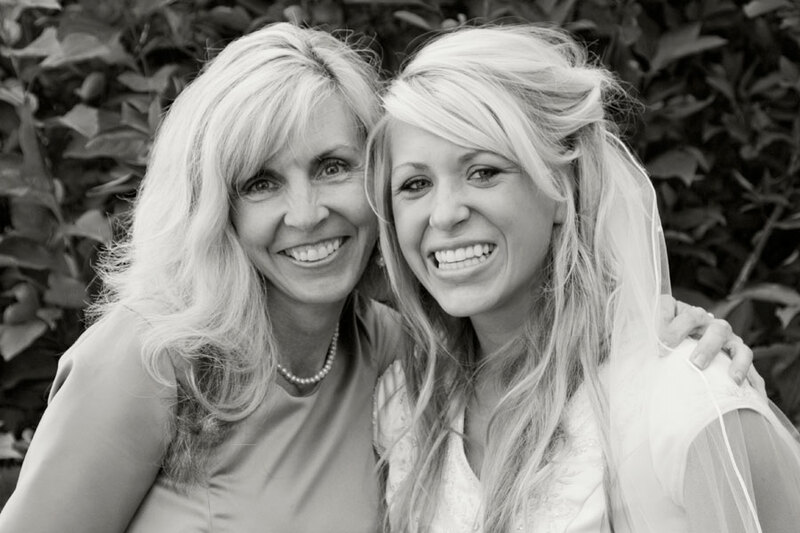 I loved reading about your mom, Shelby and I, too, found tears in my eyes. I particularly love that she lives each moment knowing the Lord is watching. We are human, and we make mistakes, but this is a wonderful way to avoid some of those mistakes, and to do the things we know we should. Your mom seems to have modeled not just doing these things, but doing them with joy and gratitude. I have been constantly amazed by you, Shelby, and what an outstanding person you are and yet still so young. Now I know a good part of how you got that way! Thank you for telling her story! What a beautiful post! Marcia, I love you too! You are an amazing woman! I have thought that my whole life. I'm so grateful for inspiring women in my life! Thank you for who you are, for your light and example! I'm sad that I didn't write sooner... I echo everything that you have said sweetie. I remember when we first went up to your parents house when we were dating and how welcoming and kind she was to me, a complete stranger. It is great that I can love my mother-in-law as much as my own mother. One of the most remarkable things that I think Mom has done is in how she has shaped all of her children into the most valiant, trustworthy, loving, kind, and charitable people that I know. A true reflection of her morals and standards. What a sweet tribute Shelby and loving comments from all. Marsh I knew you before any of the others and so I can say that you had these convictions and qualities as a young girl. It's hard to keep up (I don't actually) with all the good that I see coming from you. One of the quality's I love the most is your desire and ability to connect with the less fortunate and really do something. On top of that you like to do it quietly because that is how the Lord served. Thanks for your great example! I love you sis. I loooooooooooooooooooved this. I love Marcia. SO much. I would like to be like you when I grow up, ok? Actually.. I want to be like you NOW!!! !